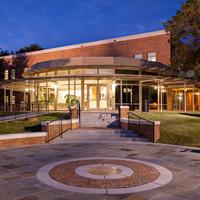 Alumni Hall houses offices for Campus Police and University Advancement, which manages fundraising, alumni and donor relations, brand identity and publications for the University. I enjoyed seeing so many people from across campus. Many departments were well represented. I thought every detail went smoothly, well organized event. The turnout was outstanding. It was absolutely amazing! Great content, very important, and the instructor (Bridget Marrs) was both helpful, enthusiastic, and genuinely cared that we learn the material. Would highly recommend to EVERYONE!